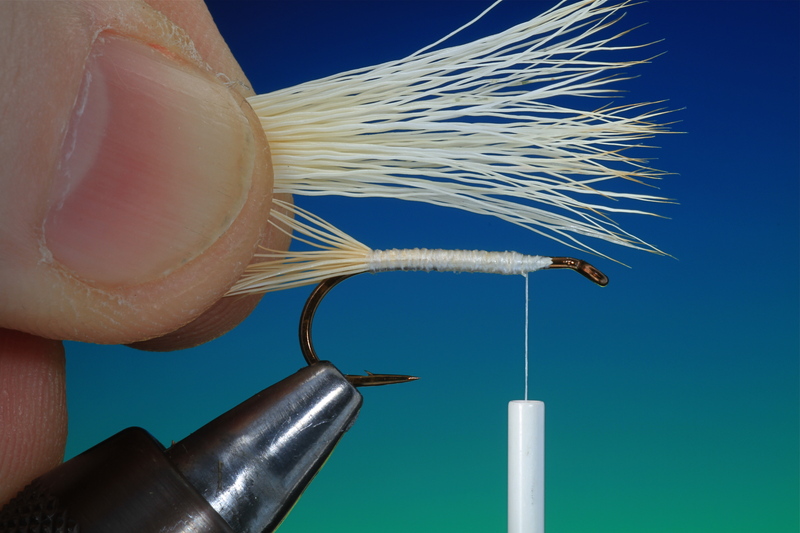 This is another deer hair technique that very useful for many dry, terrestrial, and streamer patterns. Although not an easy technique to get right without detailed instruction, once mastered, never forgotten! 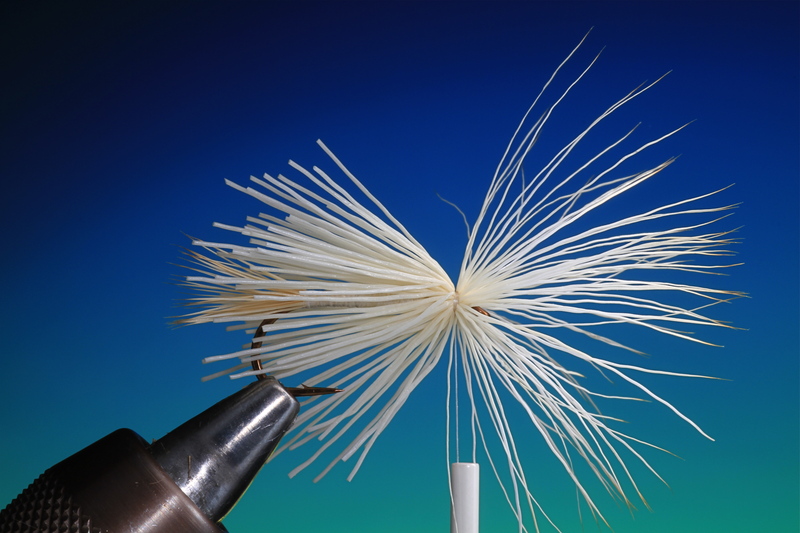 This pattern was designed by US tyer Doug Swisher for attractor fishing in the Rocky mountains. 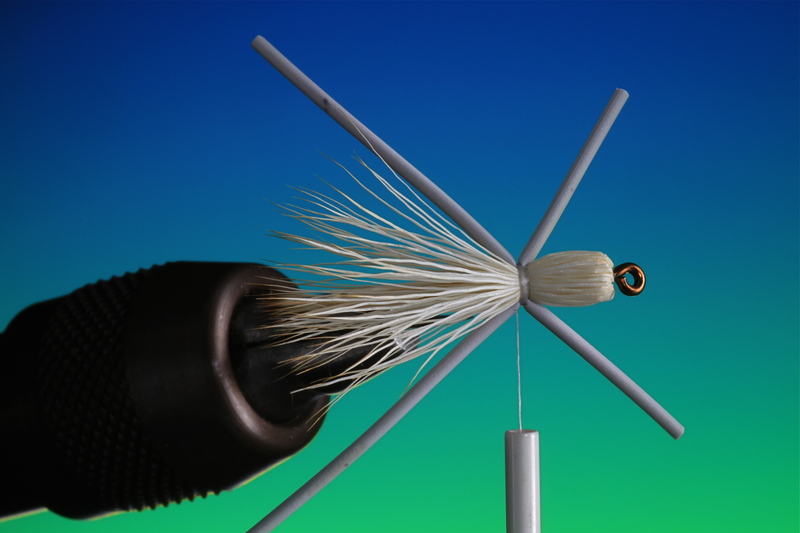 The advantage of rubber legs in an attractor pattern is that the create maximum movement in the surface, ideal for searching out fish with both free drift and stripped across the surface. 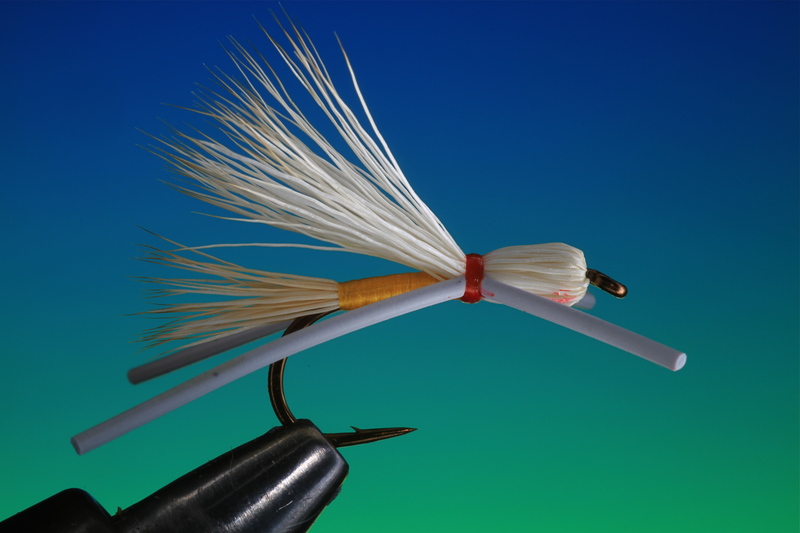 The large amount of elk hair and the bullet head make the Madam float well but low, using bleached elk hair also makes it easier to keep visual contact with her as she floats over rapids at a distance! Madam X can be tied in several colour combinations with bleached elk hair, as here but also natural and dyed black. You can also change the colour of the body and rubber legs. The bullet head construction should be very compact. 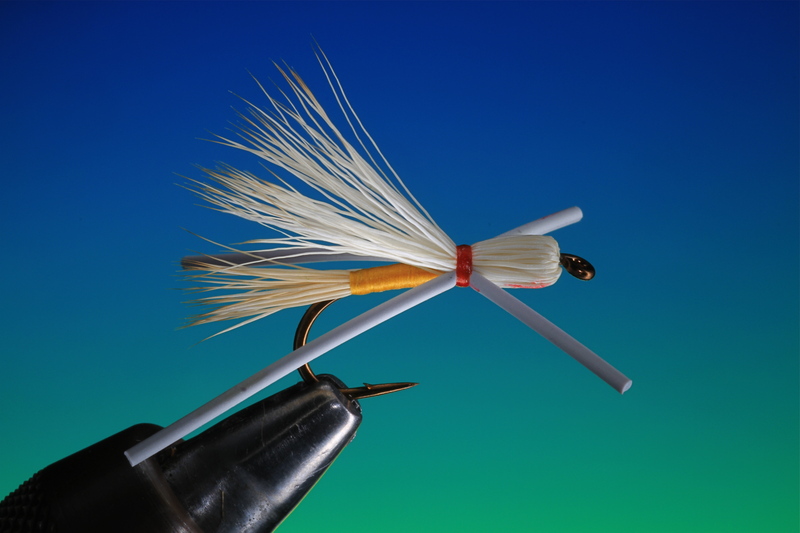 If you think the head is too little or too loose you can build up a dubbing ball under the head, see my earlier post ‘Thunder creek’ for this technique. 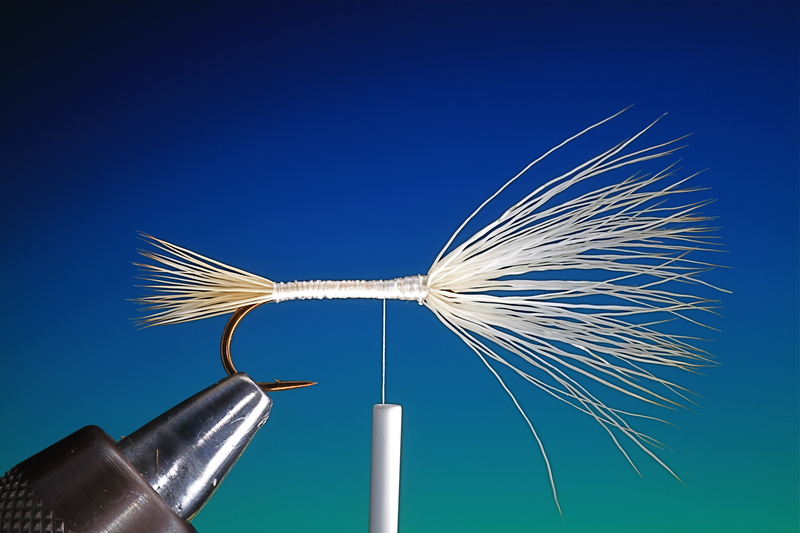 This pattern should not be underestimated, especially during caddis fly hatches in fast flowing rivers and streams. Secure your hook in the vice, remember always so the hook shaft is horizontal. 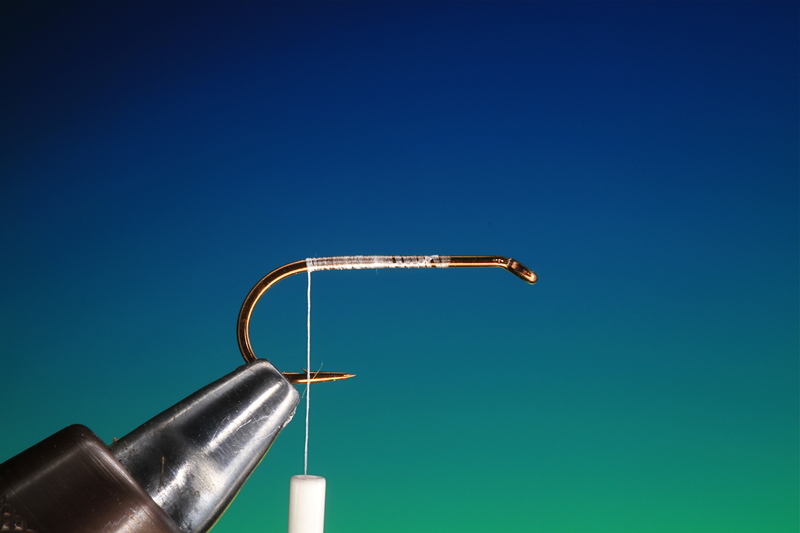 Cover the hook shank with tying thread, until your thread hangs plumb with the hook barb. Cut a small bunch of bleached elk hair. You will see that it has quite a large amount of underfur. Once you have cut a bunch of deer hair from the hide, ( while still holding it in your left hand by the tips) take your comb and brush out the under fur and any loose hairs that might be there. Now you can stack your hair in a hair stacker and then comb it once more just to remove any smaller hairs that you may have missed the first time. Now place your elk hair in a hair stacker. 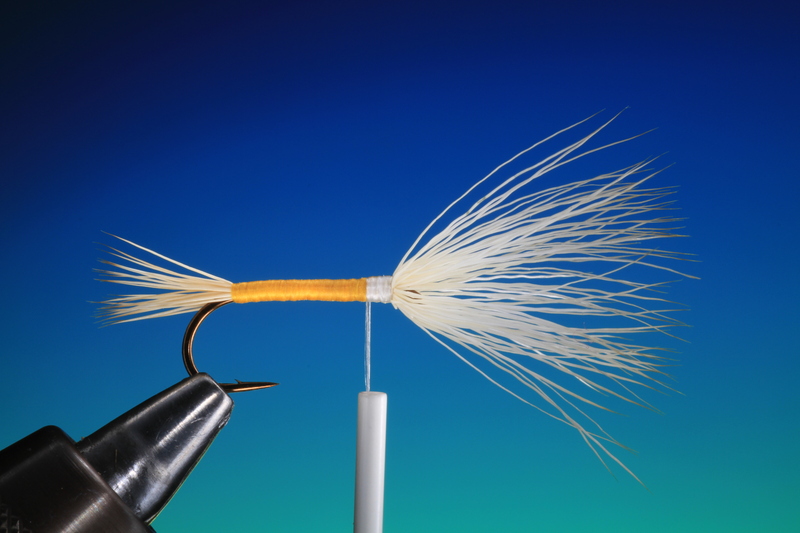 This is probably the most important tool for achieving a good attractive finish to a deer hair fly. I like to have at hand three different sizes of stacker Small, Medium and Large. The smallest is for traditional tails and wings, the medium for normal sized bunches of deer hair and larger wings i.e. 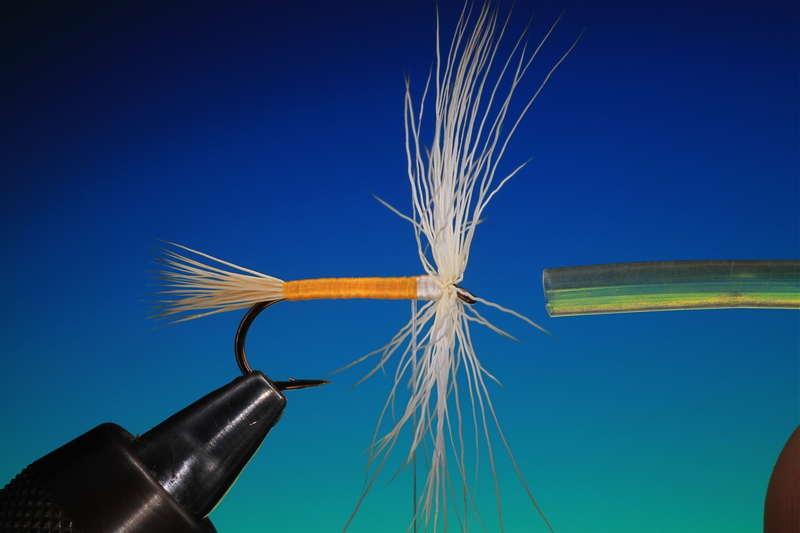 ; caddis fly wings, and the largest for long deer hair such as buck tail. To use a hair stacker, cut a bunch of hair and remove the under fur and loose hair with a comb. Place the hair tips fist into the hair stacker and tap firmly on the table. This will make the hair slide down into the stacker and align the tips. When removing the hair from the stacker hold the stacker at 60 degrees, not upright, so the hair doesn’t fall out, but will slide out. If you would like to try and make mixed coloured bodies and wings etc take a few strands of equal lengthen different coloured hair until you have enough for the job at hand and place them all together in a wide necked hair stacker. With a dubbing needle stir the hair around, so as to mix it evenly together. 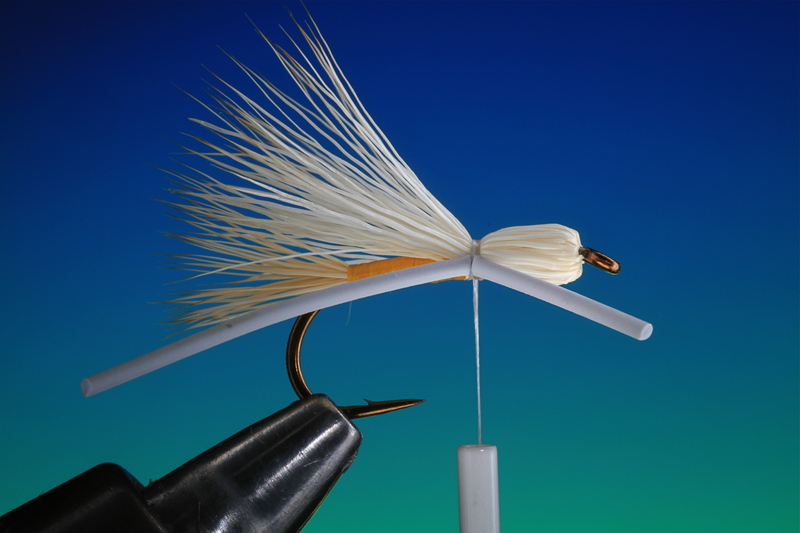 This works like a dream for attractive natural wings (Streaking caddis) and multi coloured clipped bodies. Once the hair is cleaned and stacked tie in the tail. Firstly with two loose turns of tying thread, you dont want to tighten too much here otherwise the hair will flair too much. 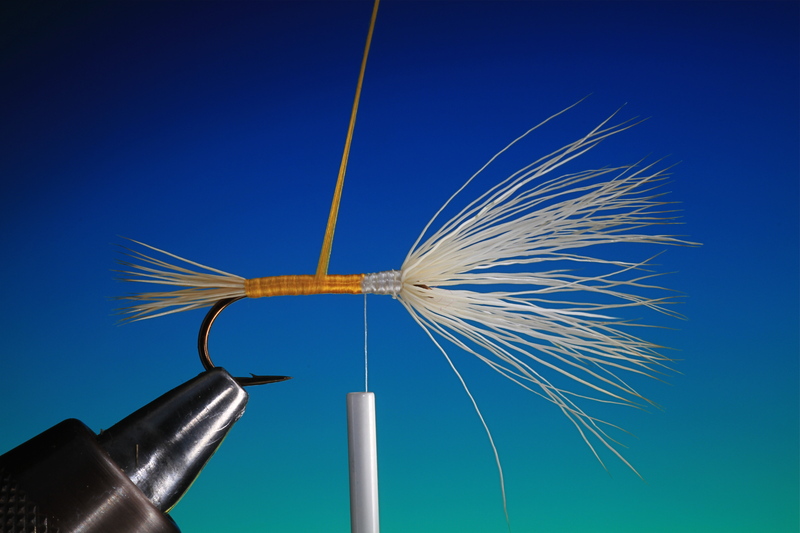 Run the tying thread towards the hook eye tying down the hair as you go. 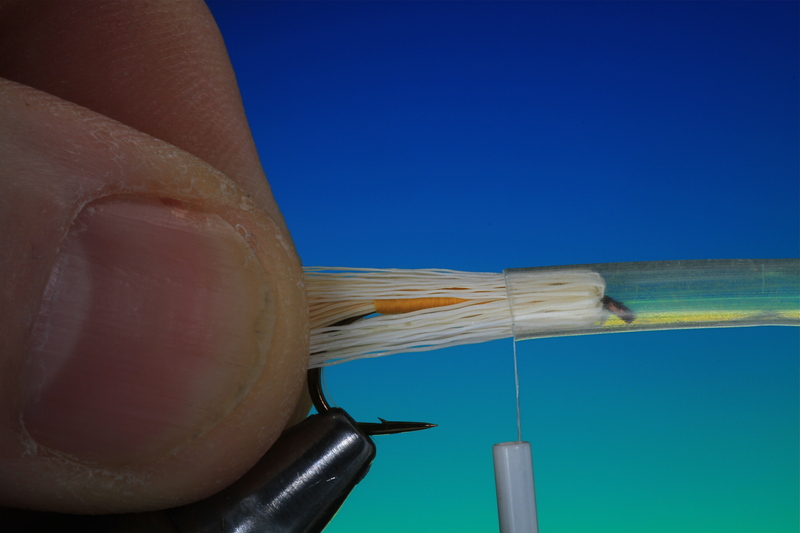 Trim off the excess hair and cover the whole hook shank in an even layer of tying thread. When the hair is cleaned and stacked measure the wing. This is important to get the proportions correct. 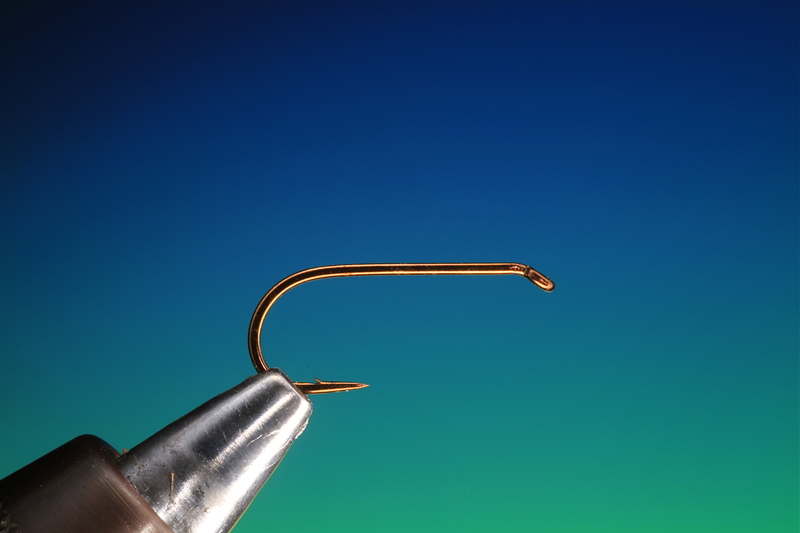 From the tip of the tail to the hook eye. 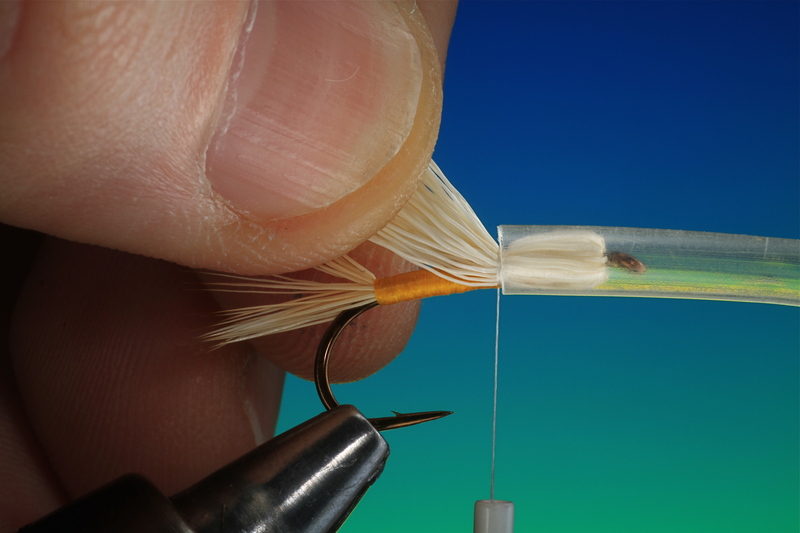 The wing should be tied in at the point of your thumb tip. 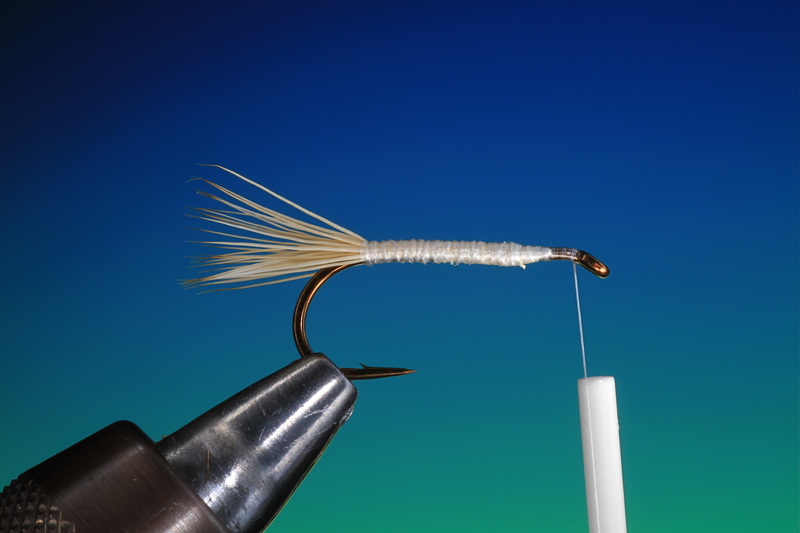 Before you tie in the wing wrap your tying thread tight into the hook eye. 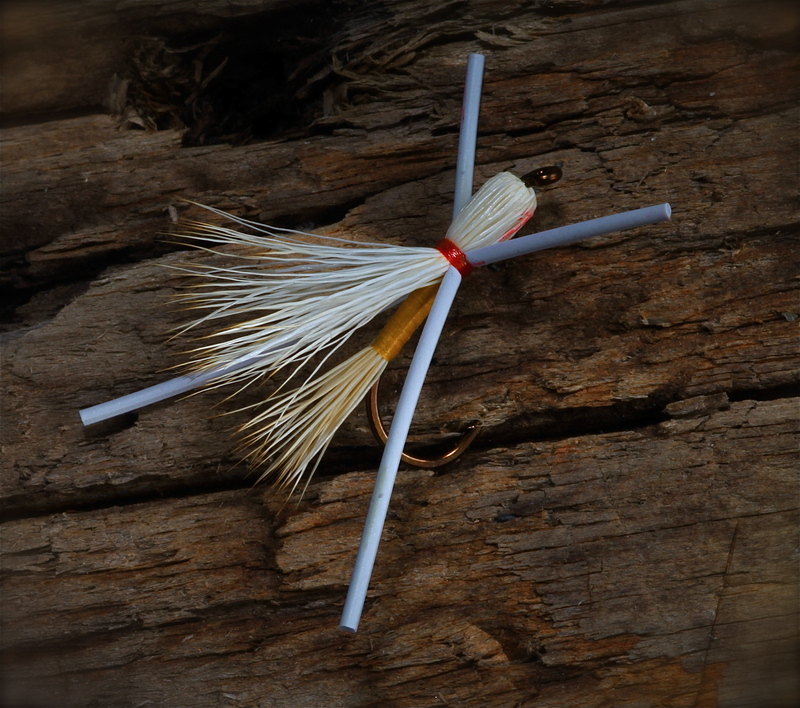 When you tie in the bunch of elk hair for the wing make sure it spins around the whole hook shank tight into the hook eye. Carefully trim off the excess elk hair at the rear of the head. 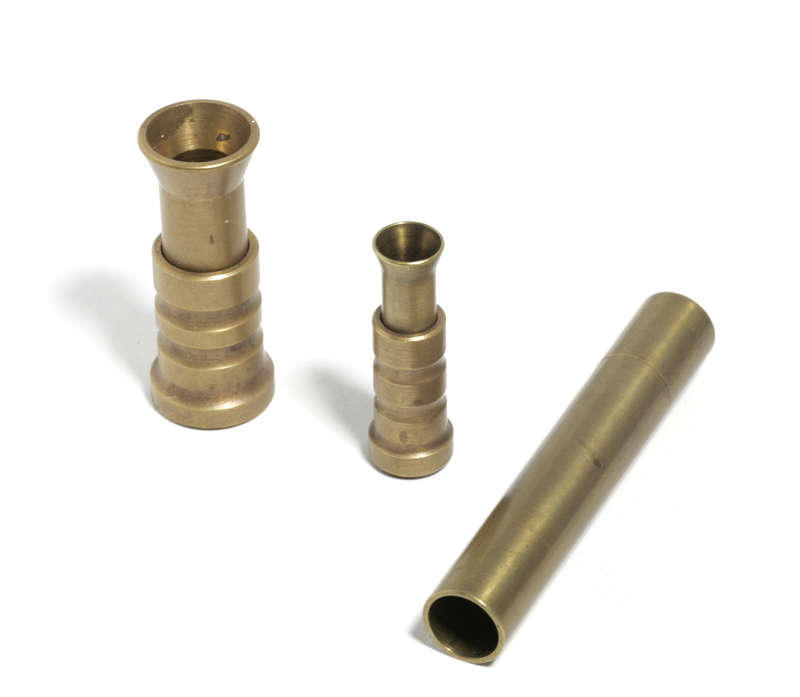 you can leave a little if you would like a larger foundation for your finished bullet head. Tie down the ends of the clipped elk hair. Tie in a length of floss silk and wrap it down to the tail base and back up again covering the whole body. Once you have returned to the head with the floss tie off and cut away the excess. 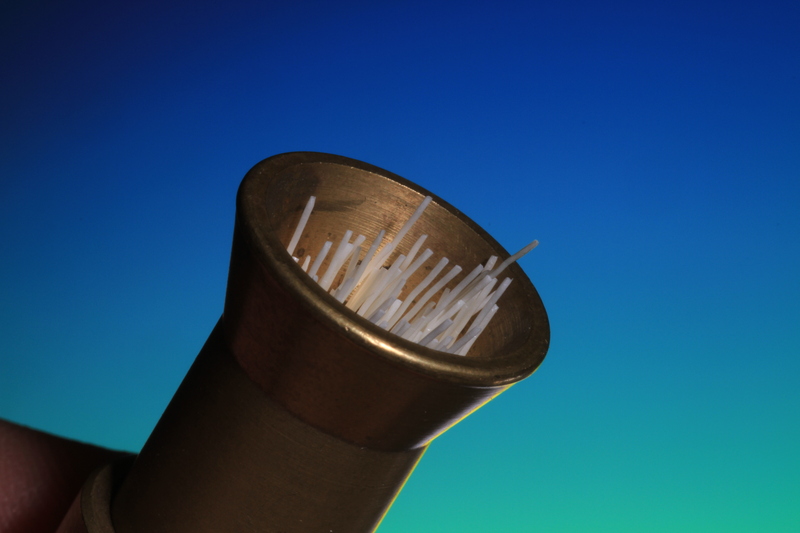 If you have a transparent plastic tube, you can use a drinking straw, this next stage is much easier. 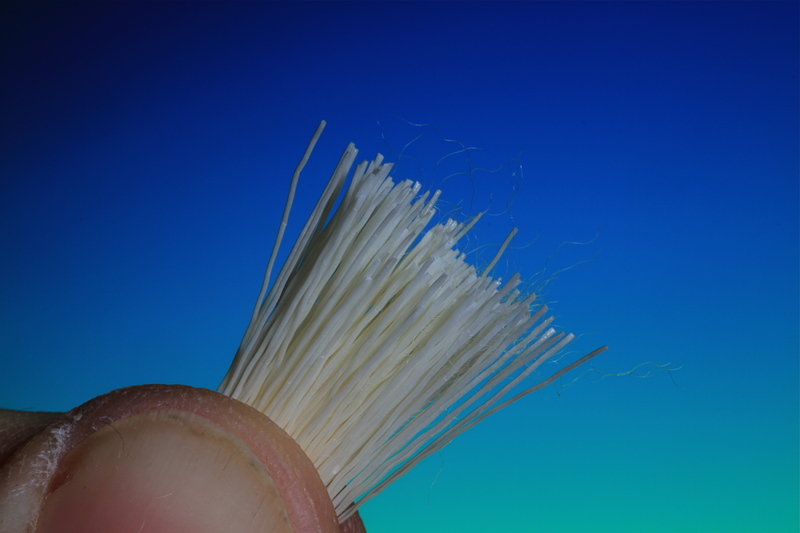 First brush your elk hair wing with a tooth brush so all the fibers stand right out. Now take your plastic tube up-to the hook eye. 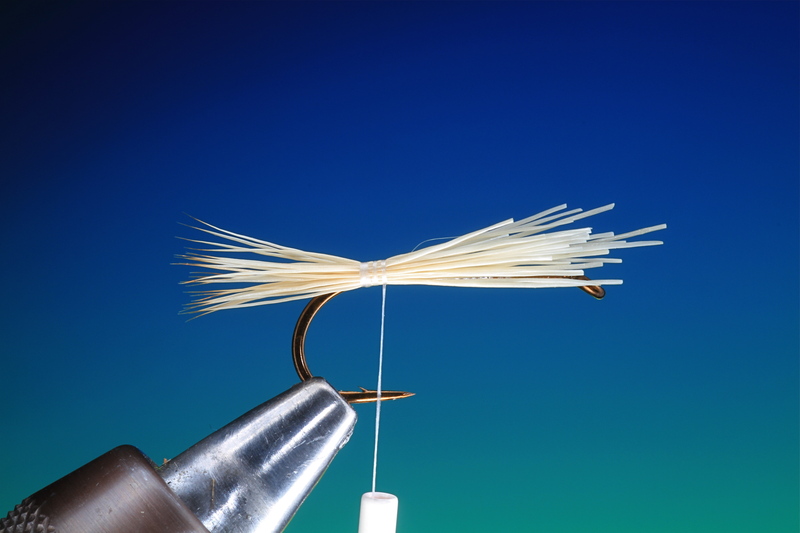 Make sure that your tying thread is hanging where you would like the head to be tied! 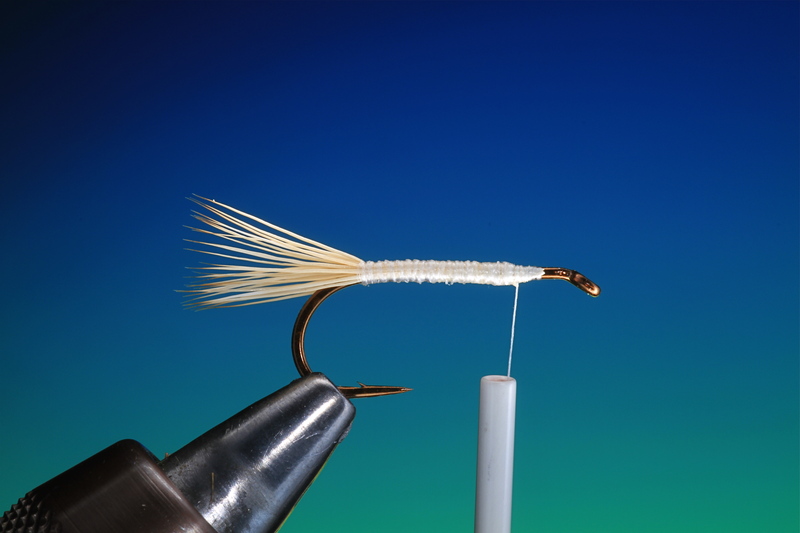 As you push the tube over the head of fly, grasp the wing with your left hand. 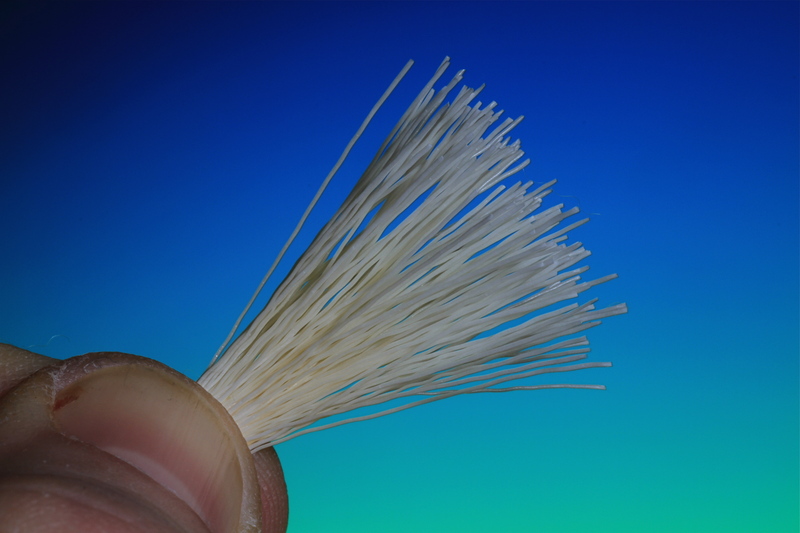 If you have a transparent tube you are able to see if any of the deer hair has crossed each other and the everything is lying correct. If not gently twist the plastic tube from side to side and the deer hair will fall into place! Keeping the tube in place make a couple of loose turns of tying thread to hold everything in place. If you are please with how everything looks, lift the wing as shown, and tighten the head wrappings. Cut two lengths of rubber leg material the same size. 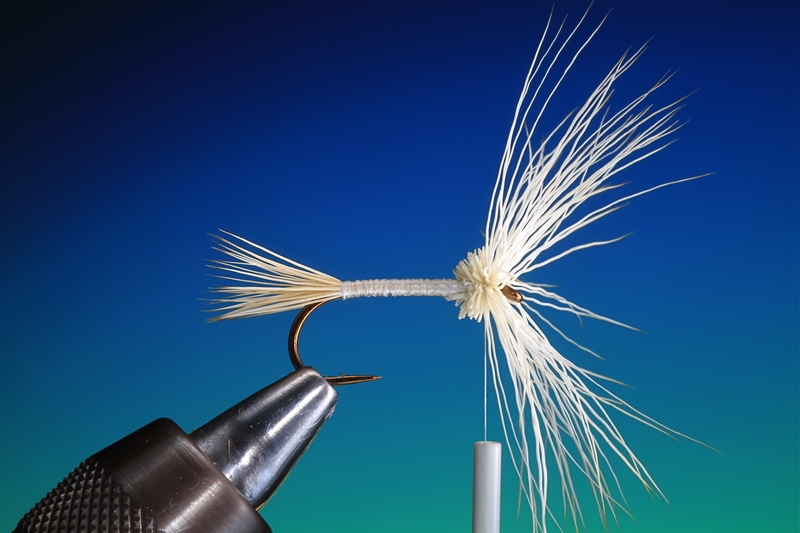 Take one length and tie it in with 3 or 4 wraps of tying thread directly on the side of the head whippings as shown. The more you tighten the thread the more acute angle you will get on the rubber legs. Tie in the other rubber legs, make sure they are symmetrical. You can now colour your Dyneema with a water proof felt pen. Now make a whip finish and remove the tying thread. Apply a little drop of varnish to the whippings, you can also give the head a coat with varnish to make it a little more durable, and there you have your finished Madam X. This entry was posted on February 16, 2013 by barryoc. 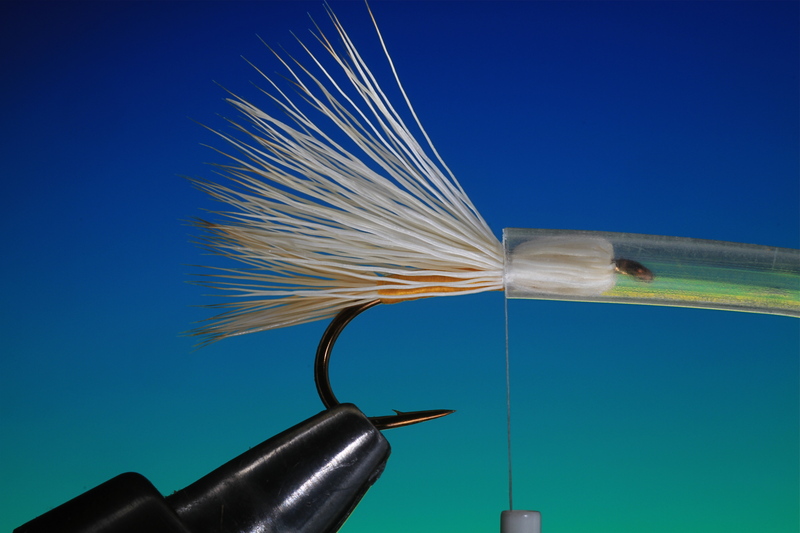 It was filed under Fly Tying, Step by Step . Great pattern. 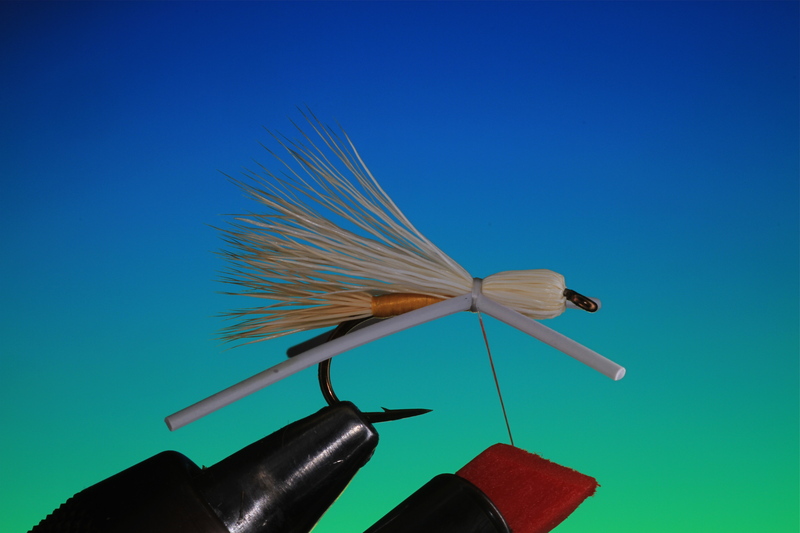 I use that fly for Spanish barbel.